Picture this. It is a sunny Friday afternoon, and you are hanging out with your crew at your favorite food joint. You key in the free Wi-Fi password to access your bank account. You need to pay for a meal using your credit card. Sounds familiar? Free public Wi-Fi is a life saver for many individuals. Almost all facilities are chocking with free Wi-Fi m airports to malls, restaurants, and hotels. Access to the internet has never been so easy. But this freedom and convenience come at a hefty price. Are you aware of the grave threats you expose yourself to when consuming public Wi-Fi? Are there preventive measures you can take to safeguard your browsing via an unsecured connection? What are the potential risks of using public Wi-Fi? You expose yourself to numerous risks when you choose to access the internet through a public hotspot. These networks have weak or non-existent security frameworks. Encrypted networks use a secret code to secure your communication. Anyone who lacks the decipher code cannot access and manipulate your conversations. Most routers are shipped to the clients when the encryption is turned off by default. The encryption ought to be turned on during the network configuration. With public wifi there is no guarantee the IT professionals switched on the encryption, exposing you to malicious cyber attacks. Man-in-the-middle (MitM) attack is a common threat to public connections. A cyber rogue can gain access to your server where he snoops and spies on your online traffic. The attacker positions himself between your device and server websites. Your data is no longer private, and your details are no longer secure. Security gaps in the software infrastructure provide easy access for cybercriminals to feed in malware and ransomware into your device through a unique code. The code targets any vulnerability in your software to slip in the malware. It is not advisable to share files across a public network. This is because the hacker can distribute malware via an unsecured network. They can instigate a Distributed Denial of Service (DDoS) on a targeted website to relay corrupted files to all users at a go. Cyberpirates can purchase special software kits and devices to give them access to snoop Wi-Fi signals. The attackers get full control of your online traffic. They gain access to all the websites you have visited, the information you’ve entered and log in details. This information can be used to access your accounts for cyber fraud. What makes public Wi-Fi vulnerable to cyber attacks? Most public networks rely heavily on old encryption protocols which provide effortless security breaches. Wireless encryption protocol (WEP) is among the first encryption protocols for wireless networking devices. However, it is weak and susceptible to cracking by cyber attackers. Wi-Fi protected access (WPA) has over the years replaced WEP as the standard encryption protocol for wireless networking devices. It also creates holes for security vulnerabilities exposing users to security risks when accessing the internet. Specialized tools such as Aircrack-ng are also readily available online. They are used to crack weak network keys using WPA or WEP using force attacks. 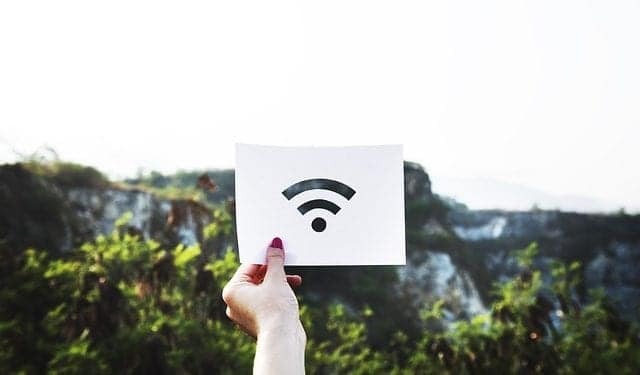 Cybercriminals create rogue Wi-Fi hotspots with the intention of carrying out Man-In-the middle (MITM) attacks on unsuspecting users that log into the internet through these rogue networks. The hacker positions himself between the user and the website giving them full access and control of your data. There are readily available kits that aid in (MiTM) attacks. These kits don’t require sophisticated IT skills. They can be configured by amateur hackers to access and steal your sensitive details such as credit card numbers, login credentials, and social security numbers. Never use public Wi-Fi to obtain your personal identifiable information (PII). With an unsecured connection, you can access less trivial sites such as Google maps to find a location. Or YouTube to check out the latest music or TED talks. But if you want to pay for your burrito using your credit card; forget about it. If it’s an unavoidable emergency, opt for a VPN. Virtual private network (VPN) is readily available online. Opt for a paid VPN it is more secure. Choose a reputable service provider. VPN offers you a secure connection to the internet. The money you spend cannot be compared to the peace of mind you get. Encrypts your data by creating a security layer between your browser’s IP address and server websites. Hides your IP address using their IP address in a different location. You could be in France, but your IP address reads Canada. If a VPN is too expensive, opt for an SSN. If you no option but to use public Wi-Fi then only browse HTTPS-enabled sites. Steer away from HTTP sites. HTTPS sites are encrypted protecting your data from malicious cyber attacks. HTTP sites are visible to hackers, and they can monitor your online traffic. SSL extensions such as Electronic Frontier Foundation limit your website connection to HTTPS sites and block out HTTP sites. Add-ons such as Force TLS and HTTPS-Everywhere are free Firefox plug-ins. They prevent access to or from non-encrypted sites. Disable File sharing to keep you safe from malware distribution. Never share files across a public hotspot. Turn off sharing on Windows control panel. You can configure windows to automatically turn off sharing by clicking the “public option” the first time you connect to a new and unsecured network. File sharing gives hackers easy access to your server system. They effortlessly slip in malware by creating security vulnerabilities. Do you want rock solid protection? Try out an antivirus. Antivirus offers rock-solid protection to your data. You can browse the internet freely using a public connection. Antivirus has high accuracy. They detect malware sneaking into your OS through a shared hotspot. In the case of malicious activity, an alert pops up on your screen. There are many antiviruses in the market, to find out what suits you best, check out the bullguard antivirus review. A double layer of protection acts like a fortified wall. This is critical if you suspect a hacker has access to your username and password. With additional security, a hacker finds it difficult to access your accounts. Two factor (2FA) or multi-factor authentications (MFA) create an extra security barrier to address any security vulnerabilities with one password only approach. Most people often connect to public Wi-Fi using their phones because their data charges are limited. Android devices are the most vulnerable when it comes to cyber attacks. Invest in an unlimited data plan to eliminate the need to use public Wi-Fi to access the internet. With this option, you don’t need a VPN connection. There are times when you have no choice but to access the internet through an unsecured, free public Wi-Fi. Understanding the risks taking necessary preventive measures to secure your data prevents you from falling victim to a cyber fraud attack. WPA3 Wi-Fi security protocol is the future of secure public Wi-Fi. Until then you must protect your data from malicious activity by running a robust internet security system on your device to secure your data.